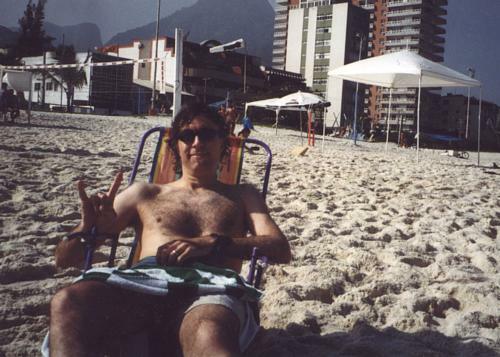 These photos taken by either Theo Mares, Luciano Tarta, me, my wife, or Charles Gavin, May thru August 2001, in Sao Paulo, Rio de Janeiro, and Seattle. 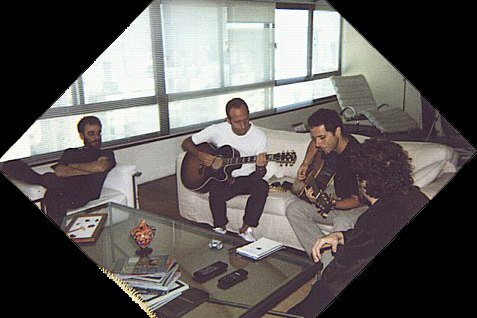 One of the last songwriting/rehearsal sessions with Marcelo Fromer before his untimely, accidental demise. Left to right: Nando, Marcelo, Tony, Branco. 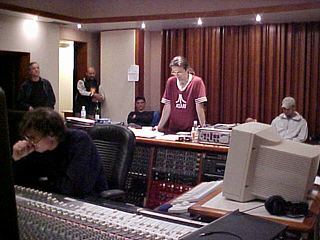 Branco, me and Charles at Studio AR in Rio, with assistant Theo behind Charles. 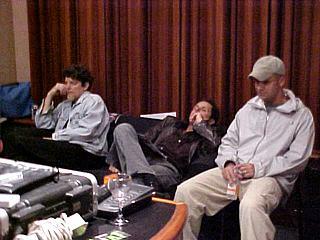 At right, Branco, Tony and Sergio, doing what there is always a lot of in the studio: waiting. These sessions were more somber than most due to all our losses at this time. But the final result was worth our efforts. There were plenty of funny moments too (Branco and Tony at left). 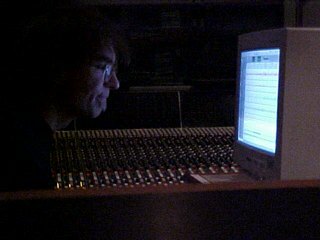 And at right, here's something I did a hell of a lot of, this time: staring at ProTools for hours and hours. 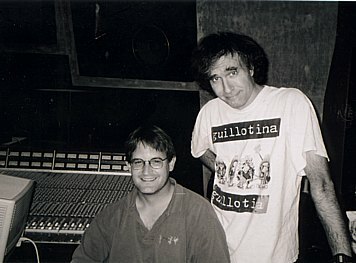 After my emergency trip back to Seattle, Paul Ralphes took over for a week, cutting some vocals and overdubs. Here we are right after I got back, waiting while I get up to speed on things. Left to right: me, Joao Augusto (A+R), Tarta, Miklos, Paul Ralphes, Sergio. 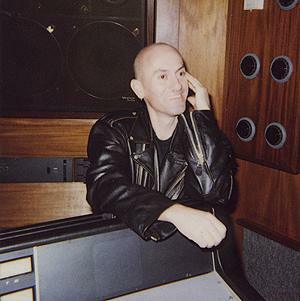 And at right, the bands's secret weapon: Sombra Jones, roadie extraordinaire, the man behind the curtain. 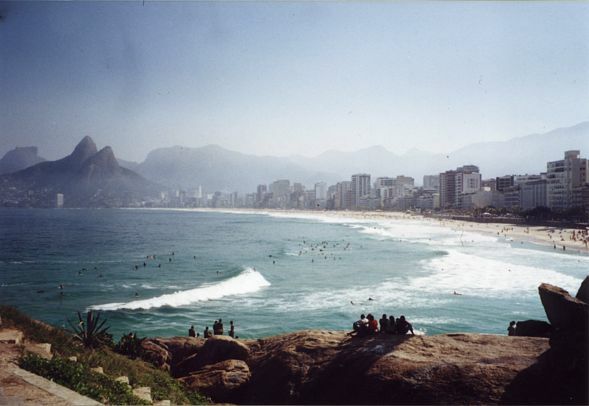 I know it looks like a postcard, but this is what Ipanema Beach actually looks like! 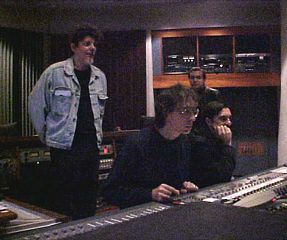 The story would not be complete without a picture of Sam Hofstedt (seated), who assisted us at Studio X when we mixed the record in Seattle. Charles took this photo.